Are you a fan of the hit reality TV show in the US, 'Survivor' ? Just two years ago, two consecutive seasons of the show -25th and 26th season were shot at Caramoan Island in Camarines Sur Philippines. It has now become the favorite location site of the producers of the said TV series. French and Israel Survivor TV shows have also chosen Caramoan Island as their venue. 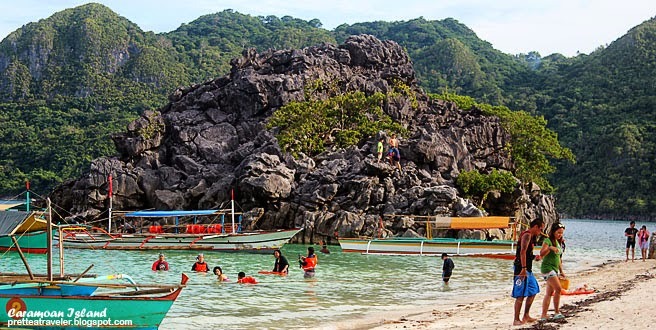 Caramoan Island is a first-class municipality located in the lower eastern part of Camarines Sur in Bicol Region, Philippines. It is surrounded with limestone cliffs, beautiful white sand, and crystal clear water. It is also filled with marine life, exotic islets, diving spots, underground cave and rivers, lagoons, and rock formations. Truly, the natural and unique features of Caramoan made it as one of the well-known tourism spots in the country today. Informative sharing friend! The Caramoan Island is a nice place for visiting and It is located in Caramoan Peninsula. Your tours is really nice. I want to use it but after complete my new york bus tours. Thousand of people come here for enjoyment and feel freshness air.